Every once in a while you come across a fundraising idea that takes you by surprise. I mean, you literally stop and one of two thoughts runs through your head-either “That’s Brilliant” OR “That’s Not Possible!” Whichever it is, the fundraising team clearly got something right in that they captured your attention. Here are a couple of those ideas. We’ll let you decide which category they fall into, but either way we hope they have caught your attention! Don’t forget to click on the title to head over to the original post for some more information. This first one really struck me. 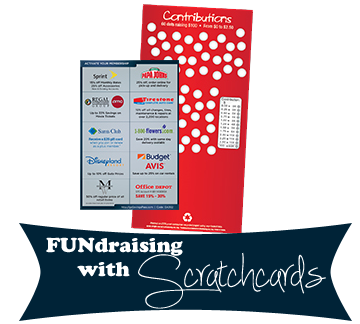 This fundraiser is super easy and can be retrofitted to just about any type of organization. The key is to find an item that represents your cause or goal. In this case, it is a suitcase for an upcoming travel trip to facilitate a new adoption. Supporters make a donation to the group in order to get the privilege of signing the luggage with their name and/or well wishes. Simple, sweet, and effective. We especially love that it hold meaning long after the fundraiser is over. If you have ever thought of doing a wine pull, but hesitated because of the alcoholic aspect of it, give this a try. Each of these boxes contains a gift. Participants purchase a ticket for $100 and pick a box. Since everyone is guaranteed a prize (with most prizes in the $25 price point, and a sparse few in the $200 range), you shouldn’t need a raffle license, but it’s always best to double check. Can’t stick them to the wall? They look great on a table too. QUICK TIP! Need donations to fill these boxes? UltimateDonations.org has a list of over 2000 potential donors for you to solicit, whenever it is most convenient for you! Register for free today. Happy soliciting! The thing about fundraisers is that some people are just over them. 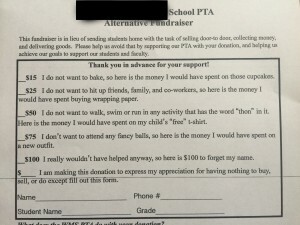 If you are part of a school community, youth team or club, or any other organization that asks their members to help raise funds by selling products or magazines, baking goods for the bake sale, selling tickets to galas, having 5ks, or all of the above, you might want to consider this approach instead. Who knows, you might even bring in some extra money just because people appreciate your honest and candid approach. What have you got to lose? This one blew my mind for its simplicity and return on investment. It’s perfect for a church, school, or any organization that has its own location and a steady flow of people. All you need is a wall, a box (something that people can’t just walk off with though! ), and 200 envelopes. Label the envelopes from $1- $200 and stuck them to the wall. Supporters pick an envelope and put the appropriate amount of money inside, seal it up and put it in the box. That’s it! Now: allow me to blow your mind… If all 200 envelopes were filled, you would raise a total of $20,100. Not a bad haul, right? Here’s a new twist on an old favorite. People of all sizes love dogs, so why not offer kisses from generous pooches for a small donation? It’s perfect for organizations that have animal related causes. Try piggyback this fundraiser at another larger community event, like your town carnival or farmers market, to maximize donations. If none of these fundraising ideas are for you, have no fear! 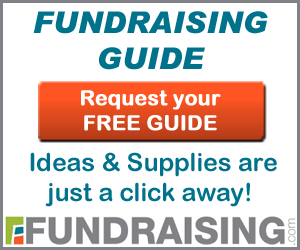 UltimateDonations.org is still here to help you find and solicit product donations for your fundraising event. Click here to set up your free account today! August 5, 2015 February 24, 2016 Comments Off! 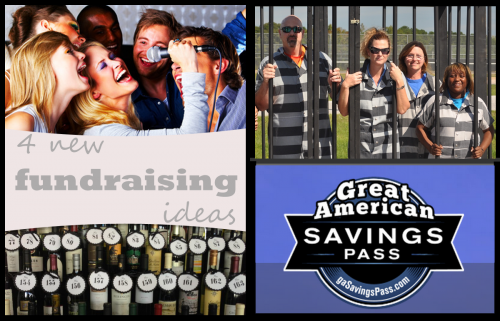 4 New Fundraising Ideas to Try Right Now! March 6, 2015 February 18, 2017 Comments Off!